Rural Irrigation Supplies (RIS) have provided water and fluid management, water supply, pumping. irrigation, and filtration services and solutions in Casino, New South Wales for over 30 years. Part of the Casino (NSW) landscape for over 30 years, one of the factors to the success of RIS has been family involvement. Founders Terry and Carol Brown started working from a home office, doing installation jobs on the weekends. 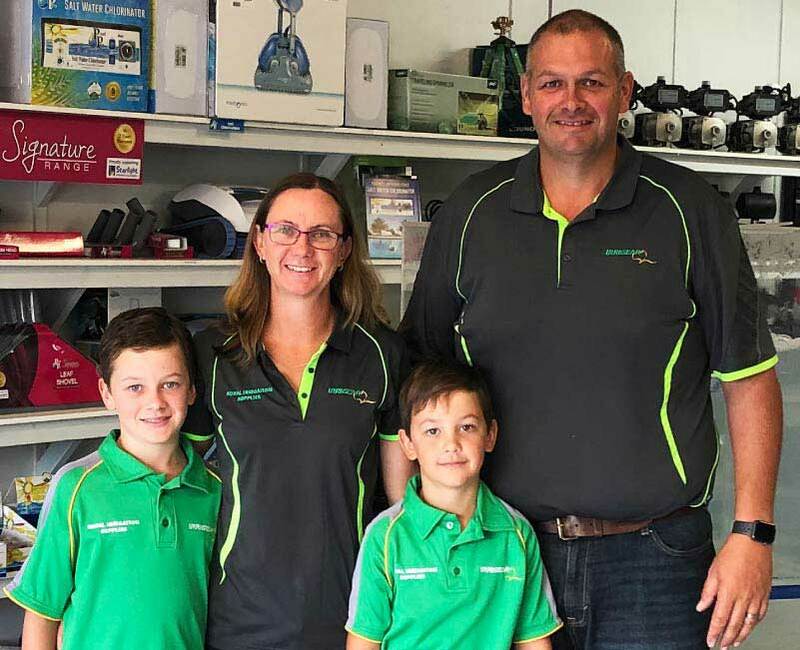 An employee of RIS for over 15 years, nephew Mark Bratti and his wife Jackie bought the business from Terry and Carol in 2009, "having literally grown up in the business, I knew and liked it – customers, suppliers, staff. As well, I love our region. With Jackie taking over the business seemed a natural fit." Today RIS services a wide variety of clientele and deals with all forms of water needs – from water supply and treatment, irrigation, stock water, large-scale agricultural, commercial and industrial projects through to domestic pumping, garden watering systems and household filtration. A main focus of business is industrial, with many family dairy farms scattered around Casino and surrounding areas. RIS provides on-site service as far north as Tweed, east to the coast, south to Grafton and west to Tenterfield. "With people becoming more conscious of environmental issues" says Jackie, "we're also seeing increased demand for household equipment, particularly in areas of grey water, sprinklers and extra water storage. With the increase in the price of electricity, solar is becoming a cost-effective solution to water usage. Whatever your needs Rural Irrigation Supplies (RIS) will tailor a solution for you, based on the highest industry standards, with emphasis on friendly, expert and professional service. Rural Irrigation Supplies (RIS) is proudly a member of Irrigear® – The Water System Experts and Australia's leading network of pumping, irrigation, filtration, water and fluid management experts. Irrigear® stores are also independently owned and operated, so you can be assured you're working with local experts that know your local environment and conditions – and are part of your community. Business owners, asset and project managers, as well as property and home owners look to Irrigear® to provide effective solutions to water and industrial fluid management. The Best Solutions. As pumping and irrigation experts, at an Irrigear® store you're sure to find the best, most efficient and cost-effective solutions to your water or fluid problem. For over 30 years Rural Irrigation Supplies has locally delivered a full range of irrigation, pumping and water management expertise, service, and access to industry-leading technologies, brands and products. Serving Casino, Richmond Valley & Northern Rivers for over 30 years.